Crafted from 100% combed cotton, our terry loop Block Stripe beach towels are exquisitely durable and wonderfully vibrant. 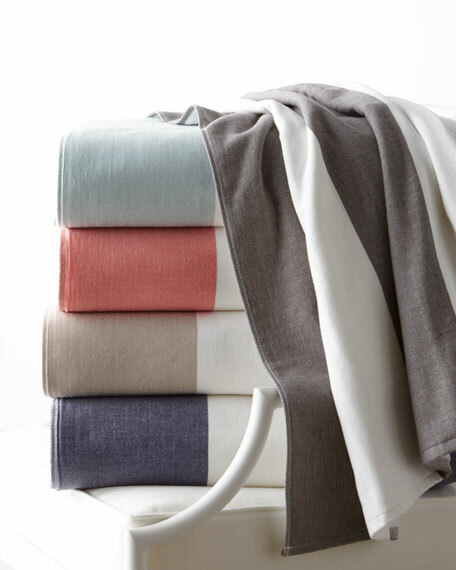 Each towel accented with a raised white border for a cheerful contrast that makes for lasting fun in the sun. Beach towel of combed cotton.